There's a fun adventure coming soon...! 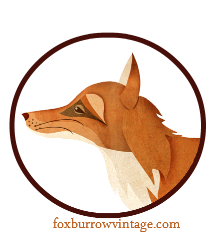 Foxburrow Vintage is preparing for its grand opening on Etsy.com! Stay tuned here for sneak peaks of what's coming to the shop, and the latest updates as they happen. Plus - check out our guide to measuring vintage clothing and make sure you know your personal measurements!